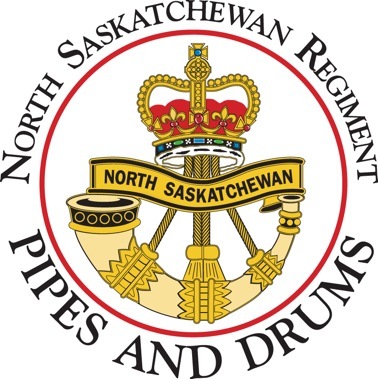 The North Saskatchewan Regiment Pipes and Drums are based in Saskatoon, SK under the command of Pipe Major Craig Shirley. Comprised mostly of volunteers, and a few enlisted members, the band is active in the community and participates in both military and civilian parades. We pledge our service to Canada and Her Majesty the Queen. The Colours of the North Saskatchewan Regiment. 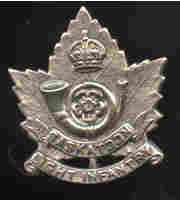 The Saskatoon Light Infantry cap badge. committed to duties, mostly ceremonial, supporting the Unit. We are proud to be part of the Regiment as volunteers.